Ametrine Top-Drill Fancy Drop Bead Strand - Unusual! Large Shiny Lavender Oval Amethyst Beads - Heavy! Sorry, we are currently sold out of 'Gorgeous Amethyst Nugget Beads - 14mm x 10mm'. Please check back later. Sorry, we are currently sold out of 'Graduated Majestic FAC Amethyst Bead Strand - 14mm to 6mm'. Please check back later. Enchanting Star Amethyst Beads - Unusual! 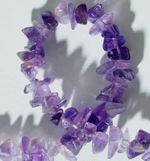 Sorry, we are currently sold out of 'Enchanting Star Amethyst Beads - Unusual!'. Please check back later. Sorry, we are currently sold out of 'Faceted Rondelle Amethyst Bead Strand - 5mm'. Please check back later. Majestic Faceted Amethyst Nugget Beads - Huge! Sorry, we are currently sold out of 'Majestic Faceted Amethyst Nugget Beads - Huge!'. Please check back later.